What is an international Resume? An international resume is a customized resume that intends to catch the attention of the recruiter in a developed country that has inflow of thousands of new people from different developing nations on a daily basis. Why a Cover letter is required? Cover letter is the introduction part of the resume, which aims at providing the basic information about your profile and your compatibility. The cover letter is a must as many international recruiters actually look into your resume only if they find your cover letter satisfactory. 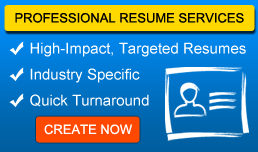 Resume optimization is a technical process through which your resume visibility shoots up. Relevant keywords and key phrases are used in the resume to achieve the same. It is usually done by SEO specialists in a recruitment consultancy. How many days it will take for optimizing my resume? On an average basis, it would take at least ten days for our subject matter experts to gather the extra information and draft it properly to meet the international standards. Once the resume copy is ready, we would send it across for your approval. We can also do resume marketing in different fields sitting at home, what’s special about JobSog? JobSog is a premier recruitment consultancy that has network in more than half-a-dozen countries. Our employees are from diverse backgrounds including psychology, sociology, search engine optimization, advanced English and marketing. It is through the combined efforts of all these people that resumes reach every nook and corner of the country that a candidate opts to work. Can it be possible to float 2 resumes at a time? You can always do it. However, you need to register twice. Can I transfer my registration to another country after some time? Say after not getting favorable reply from 1 country? Your service is non-transferable. Therefore, we don’t accept requests for transfer of your application from one country to the other. Nevertheless, you can go for a new registration. When do I get an interview call? Whether they contact me directly or through you? We have tie-up with local recruitment agencies but not recruiters directly. So, we cannot tell you the exact time. In most cases, it will be in a couple of weeks. If there are no requirements in your domain, then you may not receive an interview call. How VOIP number helps me? Do you know that most of the international recruiters actually search for candidates with a VOIP number? They will be of the opinion that candidates with VOIP numbers can be reached easily. Can you assist me in getting a VOIP number? At present we don’t have any tie-up with VOIP service providers. You may visit www.tollfreeforwarding.com for the same. What is the duration for which you provide services when I register with you? The minimum service period is three (3) months. We would continuously keep in touch with you during this time after which you need to extend the service by paying a nominal fee. Why you are providing intranet account to access my account? In order to make sure your data doesn’t get stolen, we provide intranet account to access your account. We care for your privacy!